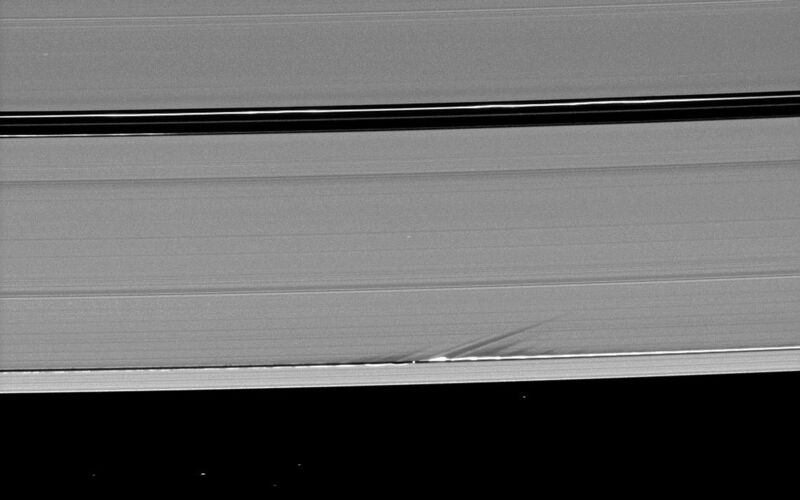 Long shadows stretch away from the towering edge waves created by the gravity of the moon Daphnis in this image taken a little more than a week before Saturn's August 2009 equinox. 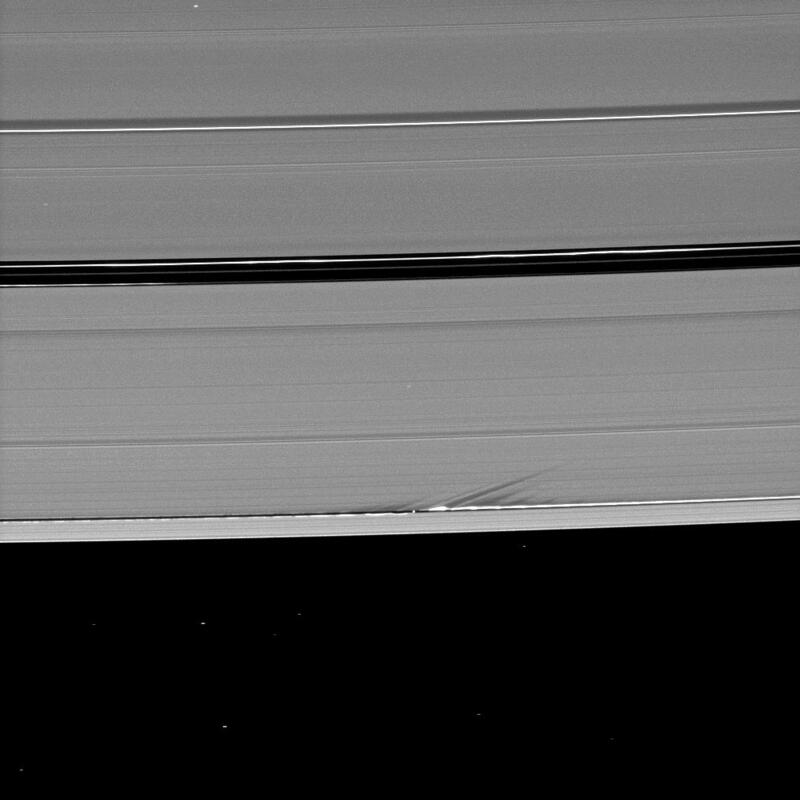 Tiny Daphnis (8 kilometers, or 5 miles across) appears as a bright dot in the Keeler Gap near the tall edge waves it has created in the A ring. The moon has an inclined orbit and its gravitational pull both perturbs the orbits of the particles of the A ring forming the Keeler Gap's edge and sculpts the edge into waves having both horizontal (radial) and out-of-plane components. Material on the inner edge of the gap orbits faster than the moon so that the waves there lead the moon in its orbit. Material on the outer edge moves slower than the moon, so waves there trail the moon. See PIA11656 to learn more about this process. Both the moon and the edge waves can be seen casting shadows in this image. 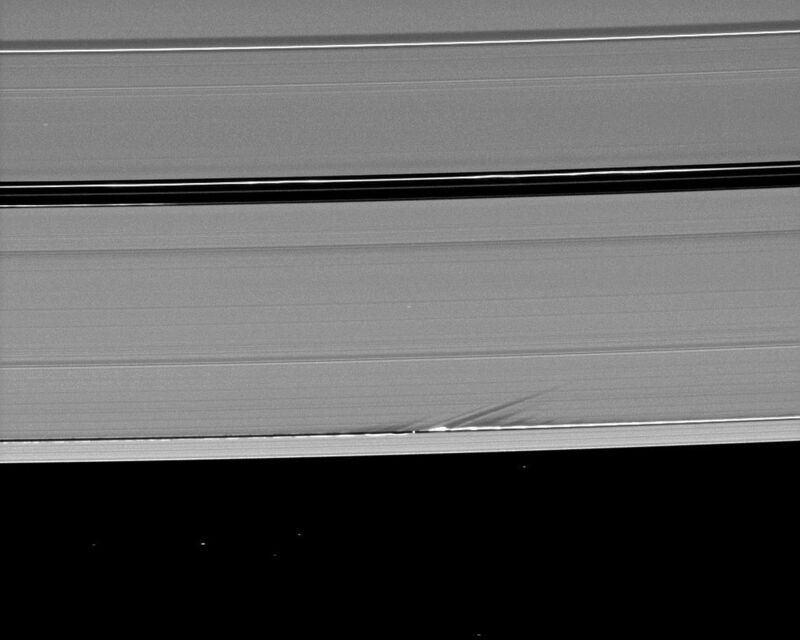 This view looks toward the northern, unilluminated side of the rings from about 38 degrees above the ringplane. Background stars, including three stars shining through the rings, are visibly elongated by the motion of the spacecraft during the image's exposure. The image was taken in visible light with the Cassini spacecraft narrow-angle camera on July 28, 2009. 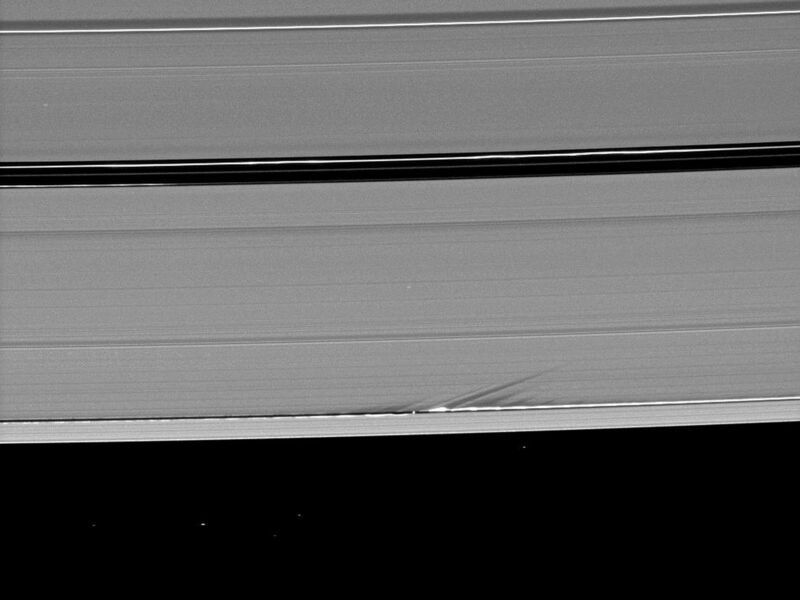 The view was obtained at a distance of approximately 983,000 kilometers (611,000 miles) from Daphnis. Image scale is 6 kilometers (4 miles) per pixel.